Good afternoon, gamers! 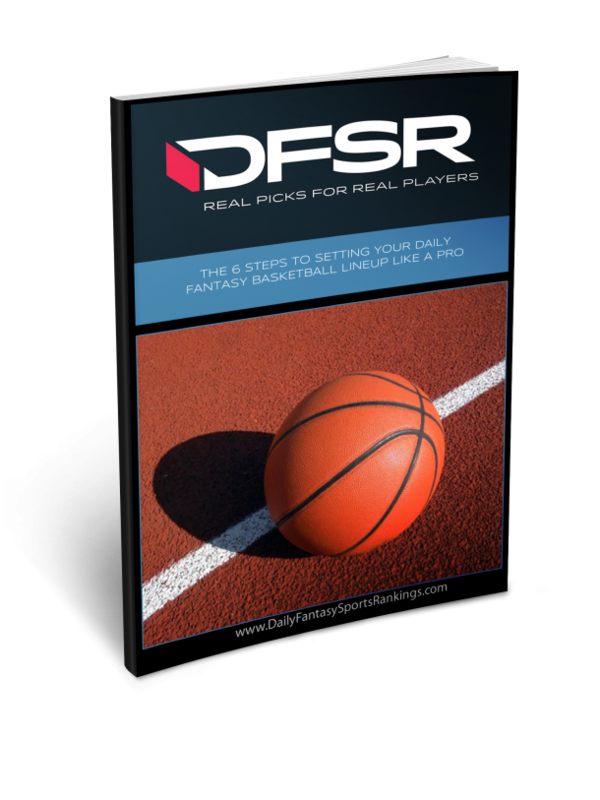 We're going to break down the main slate for this picks article, so if you are interested in early slate stuff be sure to join DFSR's Doug Norrie in our member's only chatroom throughout the day! The main slate kicks off with what could have been a doozy 4 months ago. Now it's mostly just a black eye on the league. The Pelicans have no yet publicly declared whether Davis will play here, and if he does it's quite likely we'll the Pelicans continue to scam their fans by playing him 20 minutes a game. Unfortunately, a lot of his teammates are priced to the minutes and usage they see when he's off the floor, so we're not exactly long on great plays here. Our system likes Julius Randle best of the Pelicans starters, which won't be music to too many ears out there. There's still a case that Cheick Diallo is the best overall play on the team, but is he a cash game play? Nahh. Which brings us to the Rockets. Unlike the Pelicans, our lineup optimizer sees essentially every starting Rocket as a DFS viable play tonight. The big question will just be whether the Pelicans can be competitive enough to get these guys their minutes. I highlight these two guys because they are all at once the most speculative and those containing the highest upside thanks simply to their current prices. Both are coming off games where they played high 30s minutes, and while the game logs are pretty ugly (0 points from Tucker last game?? ), on a smaller slate you may need to find value where you can. I still think the floor should be reasonably high here. I like all three of Clint Capela, Chris Paul, and James Harden, but probably in that order. Harden is just expensive right now for Chris Paul being healthy, and I'm not sure he's the big money payoff we're looking for today. Boston is favored by 2 in a game with a 220.5 total. 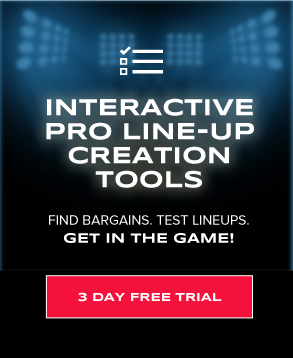 Your classic great real life game and painful DFS game. The Celtics play such good defense and the Spurs are such a bad team for DFS purposes that our system does not like a single Spur on any site. Yikes. Still, if the game stays close guys like LaMarcus Aldridge could be playable at a bad position. The Boston side, though, is quite a bit more interesting. Robert Williams drew the start for Al Horford on Saturday, and with Aron Baynes ruled out before the game as well he looked to be in a phenomenal spot. And then he got hurt. So now we're heading into a back to back where the Celtics might have to find 48 big minutes from Daniel Theis and Guerschon Yabusele. Theis started the second half for Williams on Saturday, and if all of those bigs are missing he should be the highest owned player on the slate. The other obvious beneficiary of the Celtics running light on bigs, since his minutes aren't as secure as Tatum's. He's already at 5x points per dollar through 3 quarters against the Hornets, and his floor is nice and high even if you don't get all the news you need before lock. As for the rest of the Celtics, they are mostly in the "I'd rather not, but I could" category. There is currently no total on this game as it all hinges on the availability of Steph Curry. Another game that we can't say a whole lot about until we get news, at least on the Golden State side of things. You know the drill - if Curry misses again then every single guy is in play. You'll know more about the viability of playing Quinn Cook than I currently do because you'll have had the luxury of checking his game log, and I'm writing this before the game takes place. There's a solid chance the Dubs just rest other starters here given that it's the second half of a back to back, though, so keep your eyes on Twitter as lineup lock approaches. The Warriors tend to be really good at reporting this sort of thing, though, so you don't need to be too anxious. Our system is pretty soured on the Detroit side of things, and if you're following along at home, that's like the sixth team out of six we've said that about so far. Can we get some value today, please? Andre Drummond's price has conspicuously sky-rocketed, and Blake remains a total enigma. There are game-script things you can point to, but it's literally been a month at this point. Still, if you buy the excuses Blake Griffin could be an insanely great value right now. Sacramento is favored by 3.5 in a game with a 225 total. The undisputed best game of this slate. A tight spread, a good total, and some recent breakout performances. Let's get into it. Uh, okay? McGee has played 30 or more minutes in three of his last four games, and just played the best game of his or any career on Friday. He dropped a 33 and 20 with 6 blocks against the Nets, and while the Kings aren't as good a match-up as Brooklyn they aren't exactly the 91 Pistons either. They've allowed the 6th most fantasy points to opposing centers this season. You're paying a premium on McGee now to be sure, but you have to believe he's at least a fantasy point per minute guy at this point, and he'll be hugely owned on such a small slate. Kuzma was 50%+ owned on a huge Friday slate, and I expect even higher ownership on this beater of a DFS slate. He won't even be the best shooter in the world, but he seems to be the one Laker that's impervious to Walton's musical chairs act right now, and 34 minutes seems like a lock here. I expect solid 5x points per dollar production, and at this point I'm having a hard time imagining omitting him from cash games. I could also see an argument for playing Alex Caruso and LeBron James, though I'm skeptical about both of their minutes staying at current levels. The Kings side isn't as strong on FanDuel, but on DraftKings there's actually quite a bit of reasonable value. I don't think you'll want to run WCS over McGee, but with multi-position eligibility on DraftKings there's a chance you can play both. Cauley-Stein is still playing 31 minute rotations in close games, and with Vegas predicting a close one you should see solid low 30s production here. On DraftKings, our system also sees Buddy Hield and Harrison Barnes as solid high floor options.